Stay Smart at our Contemporary West Houston HotelYou'll enjoy the time you spend at the newest west-side hotel in Houston, the Holiday Inn Express Hotel and Suites Houston Energy Corridor-West Oaks. Just off I-10 and Addicks Howell Rd, we feature quality, convenient accommodations.If work brings you west, our business oriented hotel in the Houston Energy Corridor is a great launching point for visiting BP, CITGO, Conoco Phillips, Exxon Mobil, Shaw Group and Shell. 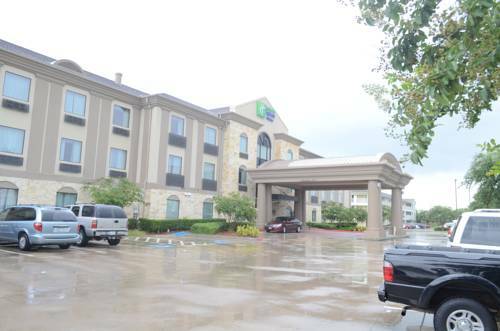 This west Houston hotel's onsite perks include an unstaffed Business Center with fax and copy machines as well as 874 sq ft of meeting space.Guests staying west of Houston love our hotel's proximity to various attractions. Outdoor aficionados enjoy the Addicks and Barker Reservoirs in nearby George Bush Park and Nature Preserve. Shopaholics can visit neighboring West Oaks Mall. We're conveniently close to other top sights, as well, including Reliant Park, home of pro football's Houston Texans.Whether business or pleasure brings you west of Houston, our hotel's amenities will satisfy your travel needs. If you need to connect with colleagues and family, you can use our free high-speed, wireless Internet access. Afterwards, take a break beside our sparkling outdoor pool or work up a sweat in the state-of-the-art Fitness Center. Best of all, each morning you'll get to savor omelets, fruit and more at this Houston, Texas hotel's delicious Express Start breakfast bar. The Meeting Room is just right for your company meeting or training event. It is quiet, with easy access to the Water fountain and restrooms. Equipment include Rectangular Tables and Comfortables Chairs, Dry-Erase Boards and Projector with Screen. Amtrak is a popular train service that connects major cities in USA.